Tucked away in the leafy suburb of Waterkloof, the Lifestyle Centre is dedicated to women’s personal care, health and well-being. 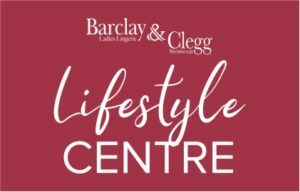 The centre offers showroom and fitting centre with a wide selection of lingerie, prosthesis, mastectomy bras, swimwear and medical lymph products in comfortable and tranquil surroundings. A selection of activewear for the gym enthusiasts, shaping swimwear, structured and slimming lingerie is elegantly displayed at the centre. We have secure on-site parking and the centre also hosts regular yoga and stretching classes on the deck in the garden. Relax and experience a rejuvenating massage to soothe body and soul in one of our spacious, soundproof and air conditioned treatment rooms. Our highly qualified therapists offer a variety of different massage techniques. Click here to find out more about Zuperia Spa.